Drunk Florida man arrested at Taco Bell drive-through provides saddest Mug shot ever! OrlandoSentinel.com An intoxicated New Smyrna Beach bicyclist was arrested and charged with resisting an officer with violence in an early morning incident at a Taco Bell drive-through,The Daytona Beach News-Journal reports. Police arrived at the Taco Bell at 3:10 a.m. and found Gabriel Harris, 33, on a bicycle by the restaurant's menu speaker, according to the police report. An employee called New Smyrna Beach police when Harris refused to leave the property after placing a drive-through order on his bicycle as the fast food restaurant was closing. As police were asking Harris to leave, they noticed a pocket knife on his belt loop. When an officer reached for it, Harris grabbed the officer's wrist and Harris was wrestled to the ground, handcuffed and arrested. Harris was with a woman, Sarah Haliburton, at the time of the incident. Both were intoxicated, according to the report. Haliburton was not charged. Restaurants receive quotes for all your restaurant needs with jusy one click! Now you have the ability to shop for all the products and services you need to make your restaurant run more efficiently and profitably from one source. Flhip.com.com provides a service where you can list any item you may be needing to receive quotes for. 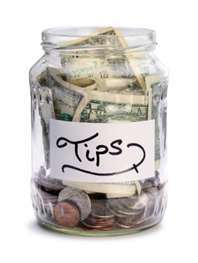 The services available across country and best of all it is a free service to you the restaurant community. 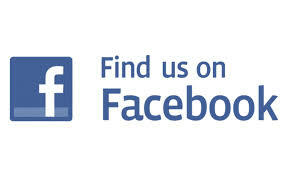 The services available online or via our app directly to your iPad or smart phone. Click here to get your quotes started. 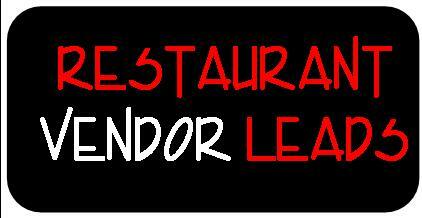 Vendors that flhip.com.com get you in the door first of new restaurants opening soon in your sales territory. Each week flhip.com researches and documents hundreds of new restaurants that will be opening soon across United States. These restaurants can be opening anywhere from a couple weeks away to over a year. If you would like to see how your company can get in the door first of these new restaurants please give us a call or drop us a note and we'll be happy to show you leads in your area of new restaurants opening soon at no charge. To see new restaurants opening in your area click here! Let Flhip.com get you in the door ahead of your competition. Call or drop us a note! Sunshinestatenews.com - Florida is violating the United States Constitution by arbitrarily banning restaurants, taverns, and breweries from selling or filling the most popular portable jug for craft beers -- the half-gallon (64-ounce) growler. That's according to a civil rights lawsuit filed today in federal court on behalf of the owners of a downtown Stuart craft beer restaurant, The Crafted Keg. The lawsuit was filed by the national free-enterprise legal organization, Pacific Legal Foundation (PLF). "It should be an interesting suit as we are fairly certain that this is the first courtroom challenge to the growler ban," said Kate Pomeroy, PLF's Washington, D.C., media director. Music Industry Sues Restaurant over Music! Gothamist.com -Unless it's blasting out your ear drums, music at restaurants usually fades into the background noise of clattering plates and sauced patrons' boisterous laughs. Even so, a group representing license holders for the music industry wants restaurants to pony up cash to play music at their establishments and they're suing to make it happen. Nine restaurants on Long Island are facing lawsuits from ASCAP, which represents 500,000 musicians and publishers, reports Newsday. You can't play Jackson Browne's "Somebody's Baby" without throwing money to the song's writers. Restaurant Launches fight against Yelp reviews. KTVU.com - The owners of Richmond’s Botto Bistro have had it with reviews on the Yelp website so they are asking customers to give them just one star. Chefs and co-owners Davide Cerretini and Michele Massimo have even posted a sign on the door of the restaurant offering discounts for bad reviews. Cerretini told the San Francisco Chronicle he has grown tired of the constant calls from Yelp trying to sell him advertising. Restaurant agrees to $1.3 mil Racial Discrimination suit! Baltimoresun.com - The owners of two popular restaurants in downtown Baltimore have agreed to pay $1.3 million and establish new hiring measures to settle a years-old lawsuit alleging racial discrimination against black applicants and employees. The U.S. Equal Employment Opportunity Commission filed the lawsuit in 2008 against McCormick & Schmick's Seafood Restaurants Inc. and Schmick Restaurant Corp., owners of McCormick & Schmick's and M&S Grill in the Inner Harbor. The lawsuit claimed the restaurants violated the Civil Rights Act of 1964 by refusing to hire black applicants for front-of-the-house positions such as servers and hostesses. The Companies did not admit to any discrimination or wrongdoing as part of the settlement, which was approved last week by U.S. District Judge William M. Nickerson. Eric Janson, an attorney for the companies, declined to comment Monday. Restaurant sues Yelp to identify internet troll! nypost.com -The famed Sparks Steakhouse in Midtown steakhouse has a beef with an Internet troll who posed as former worker at the eatery — claiming on Yelp.com that he “personally spit saliva into dishes,” a new lawsuit claims. 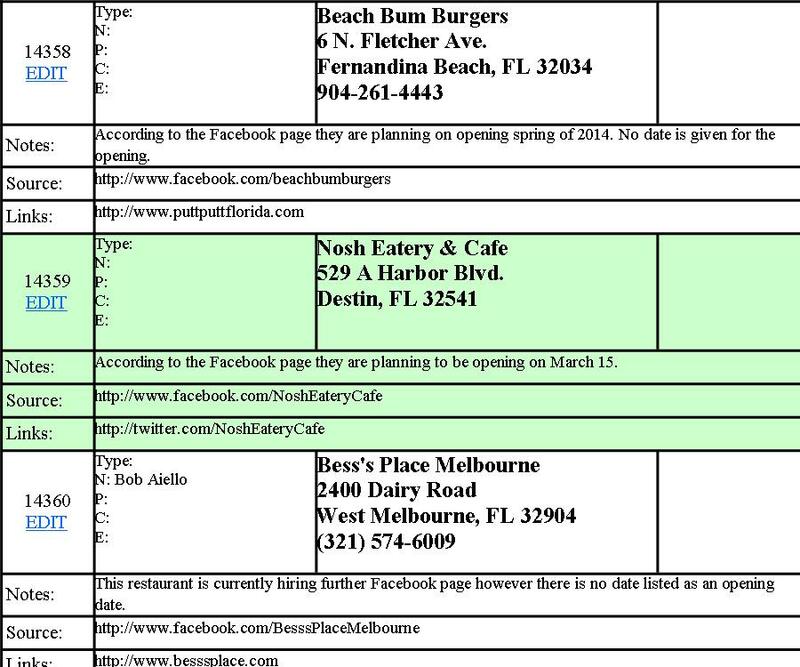 Florida restaurant connected to data breach! Mysuncoast.com - North Port Police say there have been several complaints of unauthorized credit card transactions appearing on financial statements. Various vendors in Texas, New York and Massachusetts have been linked to these purchases. At least four Florida Beef O'Brady's restaurant locations have been potentially compromised, with credit and debit card information being stolen. With the help of the United States Secret Service, the North Port Police Department's Economic Crimes Unit, they were able to determine the source was a data breach within the Beef O'Brady's electronic payment network. Restaurant Show a Big Success! Bizjournals.com - Everything from potstickers to stoneware was featured in the restaurateur's wish list known as the Florida Restaurant & Lodging Show. The companies that support Florida's $71.8 billion hospitality industry gathered at theOrange County Convention CenterSept. 7-9. And Orlando companies were well in the mix. "We've made at least 80 contacts since the first day," saidEyal GoldshmidofOrlando-based Fat Cat Foods. Goldshmid founded the award-winning hot sauce company in 2010 with his wife, Orlando attorneyDeborah Moskowitz. Fat Cat was enjoying its first time at the show. Businesses relying on international lenders, private equity! Dailybusinessreview.com -VooDoo BBQ & Grill is the house that foreign capital built. The owners of the chain's Florida franchises say they've raised $40 million from investors in 12 countries through the EB-5 visa program, sprouting new locations in Miami, Pembroke Pines, Hollywood, Fort Lauderdale, Boca Raton and Pensacola. Faced with a credit desert and stringent lending criteria as nearly 70 banks failed in Florida in the aftermath of the Great Recession, the New Orleans-style barbecue franchise had to look elsewhere. The company found international lenders and cash-rich private equity firms to be the big-money lenders and backers of South Florida's most lucrative commercial deals. "We're not where we were in '04 or '05 when anybody could get a loan, but the appetite from financial institutions is increasing," said Israel Alfonso, a Miami partner in Akerman, whose annual real estate survey measures economic conditions and investor confidence. For VooDoo, the new wave of investment followed a tedious and futile fundraising drive in the U.S.
Jafrejo Holdings LLC, the chain's Florida franchisee, said its startup businesses faced multiple roadblocks from traditional lenders.